Ideally located in the heart of the Loire valley, well-known for its Chateaux, treat yourself to a break at La Bihourderie, our XIII century historical home that we have entirely renovated. Whether you are travelling with family, friends or as a group we would be delighted to offer you hospitality in one or several of our 5 comfortable guest rooms. 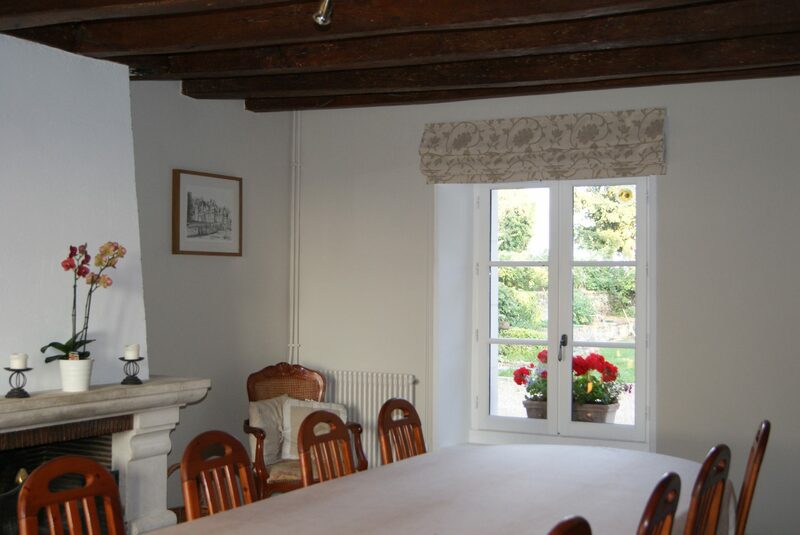 La Bihourderie combines the charm of a traditional French stone farmhouse with the advantages of modern day comforts. After a day of sightseeing or travelling, come and relax at La Bihourderie in the peace and quiet of the French countryside where we strive to make your stay as pleasant and comfortable as possible. Visit the beautiful village of Montrésor at night listening to some street theatre. The village and the banks of the Indrois river are lit up. Shows every evening from 22:00 to midnight. A "Sound and Light" show with more than 250 people on stage telling the story of Louise of Savoy who is looking out for her nephew who has been promised a royal destiny. Relive 2000 years of history told by two storytellers, Honoré Pottier and his grandson Benjamin, in the park of Jacques de Beaune, Superintendent of the finances of Francis I. This double room is located on the ground floor and offers stunning views of the countryside. This spacious room offers all the charm of an authentic French country home. This triple room is on the ground floor and can accommodate up to 3 people & a baby. This family suite is comprised of two rooms with a shared bathroom and can comfortably sleep up to 4 people. This room can comfortably accommodate up to 5 people and is ideal for a family. From personal experience I can say that La Bihourderie is a perfect location to tour the area south of Amboise. Naomi is a perfect host with excellent knowledge of what to see and when. Her advise on which chateaux to visit, the sequence and other places of interest was invaluable. The rooms share a lounge and kitchen area so guests have access to a patio & tea and coffee facilities which are excellent after a long day sightseeing. Breakfast is hearty and will keep you going for hours. In conclusion I would say that if you prefer a tranquil rural setting as a base for touring the area, then La Bihourderie is about as close to perfection as you can get. We stayed at La Bihourderie for 3 nights. Our room was on the ground floor and overlooked the countryside. It was very comfortable and clean, there was an exposed stone wall and beam which added character. There was a kitchen/lounge area where tea/coffee is provided, you are also able to make snacks etc. Outside is a terrace with a seating area, there was an amazing sunset each night. Breakfast consists of homemade jams, fresh bread, cakes, yogurts and cereal. Naomi was very welcoming. This Chambre d'hotes is in a very peaceful location, surrounded by farmland, the town of Loches is only 10 minutes away. Great stay, would highly recommend. My girlfriend and I booked the family room, which was actually a 2 bedroom suite with a door leading directly out to the serene yard in the back. Every night we were treated to a spectacular sunset settling across the vast and lush farmland. 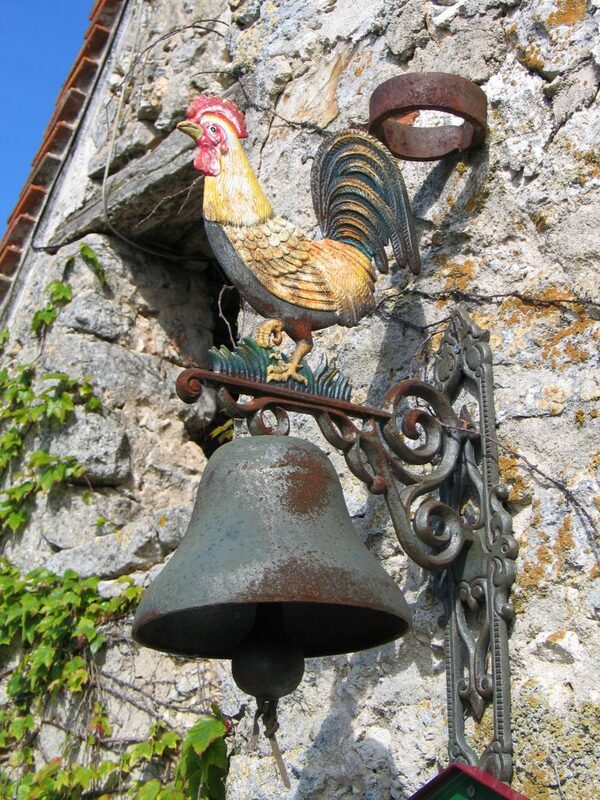 Spacious and comfortable, not even a rooster could be heard through the thick stone walls. Naomi has given the farmhouse a modern touch, with a crisp white on stone treatment, but with a warmth befitting the old architecture. 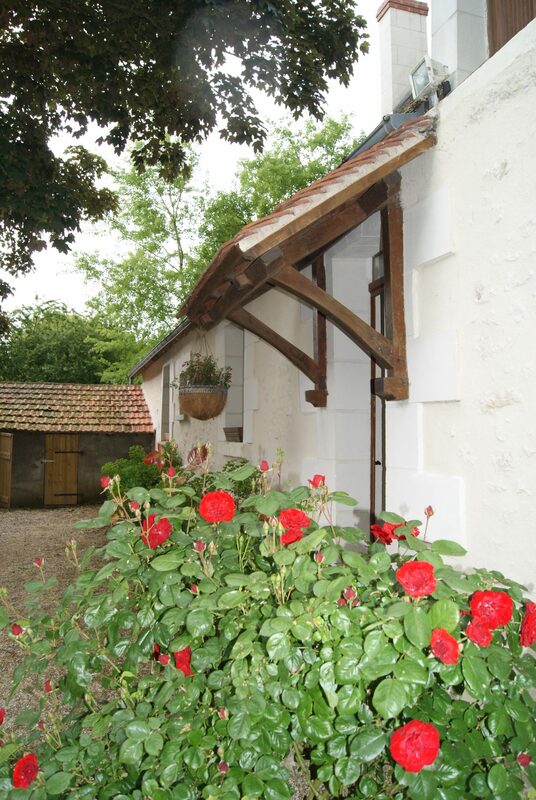 The farm is centrally located to so many chateaux, making it a Loire paradise. Breakfast included Naomi's home made jams, breads and fruit yogurt. I would definitely go back, given the chance. If ever we are in the area we stay here. The rooms are excellent - tip top cleanliness and comfort, all modern with beautiful features. Breakfast is excellent. There is a lounge area where you can make tea and coffee and warm up any food - all fully equipped. Hosts are lovely people and full of information. It's only a few kilometres away from Loches itself so it's ideal - this really is one place to keep on your list.